The majority of savings and investments in the UK are subject to tax in one form or another. If you have a variety of different investment vehicles, however, the tax that is levied may be different for each one. 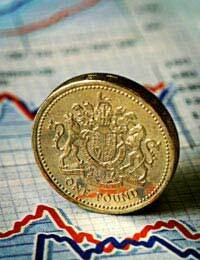 UK dividends incur income tax at a different rate to that at which it must be paid on other savings and investments. For example, you will pay a different amount of Income Tax on dividends than you will on Interest From A Building Society Account. The specific rate at which they are taxed depends, however, on your total taxable income. There is currently a basic rate Income Tax threshold, which is set at £35,000 for the tax year running until April 2012. If your overall taxable income for the year exceeds that threshold, you will be required to pay tax on your dividend income at a considerably higher rate than if your overall taxable income falls within it. If your overall taxable income falls within the threshold, your dividend income will be taxed at a rate of 10%; if it exceeds £35,000 but is less than £150,000 it will be taxed at 32.5%; if it exceeds £150,000 it will be taxed at 42.5%. It is important to note that 'dividend income' is not the same as the sum of the dividends you have received. Rather, dividend income describes the total reached when this sum is added to any associated tax credit which is made available to you. Dividends are paid to shareholders from income on which tax has already been paid by the company; as a result, shareholders are given tax credits which they can use to offset against the Income Tax bill for your dividend income. The tax credit makes up 10% of your total dividend income. If, for example your dividend income was £100, only £90 of this would be the dividend itself. In reality, the tax credit system means that investors earning a total annual taxable income below £35,000 are required to pay no tax whatsoever on their dividend income. This is because, for these individuals, dividend income is taxed directly at source at a rate of 10%. If, on the other hand, your total annual taxable income is above £35,000 but less than £150,000 you will be required to pay dividend tax at a rate of 32.5%, as mentioned above. However, the 10% tax credit mitigates your liability, bringing the 'real' rate down to 25%. Similarly if you pay a total of 42.5% tax on dividend income that exceeds the higher rate Income Tax limit of over £150,000 the effective rate owed on the dividend income would be 36.1%. If you are a Pay As You Earn taxpayer, any Income Tax that you owe on dividend income will be automatically deducted from your wage packet along with the rest of your tax.It is worth noting however, that you can't claim a refund of the 10% tax credit if you don't normally pay tax, even if your taxable income in less than your Personal Allowance. This is because Income Tax hasn't been deducted from the dividend paid to you - you have simply been given a 10% credit against any Income tax due. Thoughtful analysis - I was fascinated by the information . Does anyone know where my business could get ahold of a template 2015 CA FTB 3522 form to edit ? Which of the dates associated with a company dividend payment determines which tax year is relevant for the recipient's personal income tax return? e.g. private company board agrees interim dividend on 1 April, dividend/tax voucher is dated 3 April but actual payment (bank transfer) is on 7 April. Is the treatment the same for a final dividend? The section on taxation of UK dividends says the effect of tax credit on a basic rate taxpayer is both "no requirement to pay tax" in first sentence and in the third sentence "If, on the other hand, you are a basic rate taxpayer, you will be required to pay tax at a rate of 32.5%" These seem incompatible. .